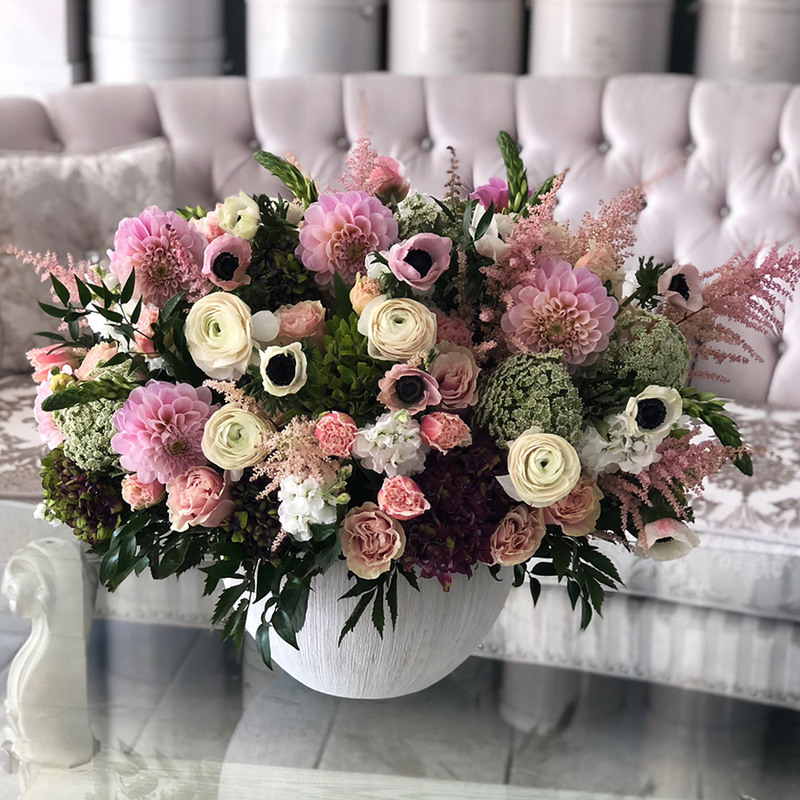 This graceful arrangement is composed with ranunculus, dahlias, anemone, tulips, astilbe, Queen Anne's Lace and delicate greens. This radiant arrangement rests in a large ceramic vase. The medium size is also available in the variations.